MSI+ Backplate+ Freesync+ I was worried because every benchmark I saw said that this would get like 90 fps on fortnite but I only had to change on setting down and kept the rest to get 144 fps. No need to mess with overclocking right now. I am very impressed with this card. It has not broken 70C yet under full load. I've tested it with Unigine Superposition and Rome Total War 2 (Very high graphics, unlimited Vram, Bloom, distortion effects on) and it stays cool. It also is aesthetically pleasing and the backplate is a nice plus. 8gb of VRAM should be plenty for my dad and give his build some staying power for the future. Love it. It is a great graphics card, it's VR ready, and boosted my pc performance significantly. 8GB of VRAM is more than enough to run my games. I can play Destiny 2 the highest settings without any issues. Still putting it through some tests, but so far it's the best graphics card I could afford, and I am very happy with it! At the time I picked my parts GPU prices were still coming down and this was the best bang for the buck option. The RX 580 works like a beast and has given me no issues and works best with AMD's Freesync. 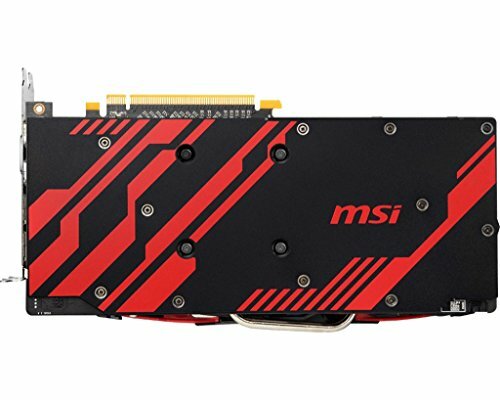 this card is an ABSOLUTE BEAST, it looks bloody amazing too with the red and black msi backplate, im so happy i got this card, i have a 60hz curved monitor so i only needed 60 fps, i play every game on ultra and this card gets well over 60 fps on most, average like 100-120 on rainbow 6 on max settings, gta v is in the 65-70s on everything max, this card is an absolute beast, recommend it over the 1060 6gb due to 2 more gb of vram. 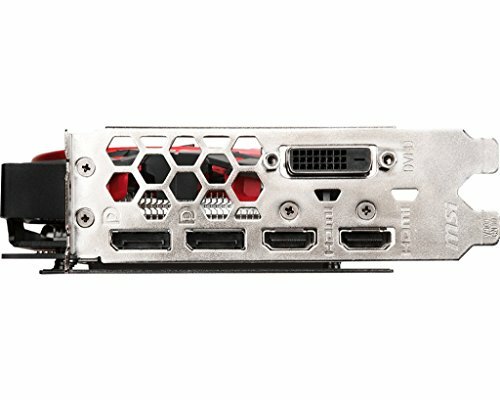 A solid 1080p graphics card with some neat fan features and a factory overclock. Being a sweet-spot graphics card, I expected decent performance, but the quality and power the RX 580 provides is just exceptional. It's got more VRAM and a significantly larger memory bus than the 1060 6GB, and with new 2019 drivers being released, AMD looks to be the best buy. Plus, this MSI card comes with an adorable little quick start comic book! I'd pay 240 USD just for that. Card was a decent price at the time that I bought it. Wish I waited a little longer and gotten it for cheaper or gotten a 590. This will be the first part I upgrade in the future. It performs 1080p gaming great. 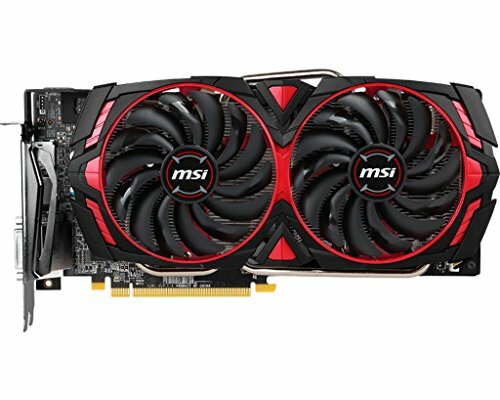 I had one issue with artifacting when using the MSI Gaming program. 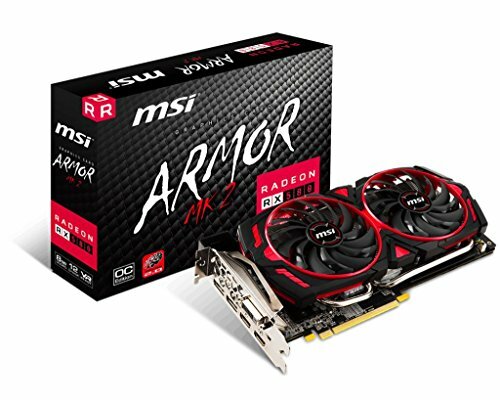 Could be my card, but I'm not going to waste my time with an RMA. Still glad I chose this over a GTX 1060 because those were $50 more expensive at the time. i got lucky with this part. i had a friend that wanted to upgrade to the 1660 ti. so i really got it for 100. Now iv seen this part go as low as 170 before on this sight during winter holidays or company competitions. this card is great but given the option for a budget build i would have just gone with a 570 4gb or 8gb. fantastic card though.